n order to keep pace with never ending demands of the customers, our company is instrumental in offering Polysulphide Joint Sealant. Flexible jointing materials filling gaps and sealing slots between two elements to provide future movement and sealing against wind, rain, fire and chemicals. Application Temperature Range Using Idrostop Mastic As An Adhesive: From +10 Degree C to +40 Degree C.
Whilst the main, bulk need for sealants is in the weatherproofing of buildings and other structures including houses, high-rise constructions, bridges roads and pavements, they are also used in water retaining and water exclusion applications in dams, canals, basements etc. 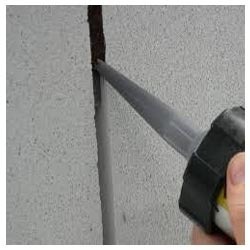 - ESSVE has a wide selection of glues and joint sealant products that suit different areas of application. Today, there are joint products on the market that are durable enough to replace several of the traditional methods of sealing, eliminate the need to use tools, and give you an invisible point of attachment. One-component, ready-to-use, solvent-free, flexible polyurethane adhesive with a very low emission level of volatile organic compounds (VOC) for all types of parquet on screeds made from MAPECEM, MAPECEM PRONTO, TOPCEM and TOPCEM PRONTO, cementitious screeds, old wooden ceramic, marble and terrazzo floors, etc.